The merging of the European formal higher education systems and universities from the different European member countries agreed in the Bologna process has concluded in 2012. Now, the European countries are increasingly emphasizing the need to recognize the full range of an individual’s knowledge, skills and competences – those acquired not only at school, university or other education and training institutions, but also outside the formal system: the validation of informal learning. This requires new approaches to validate such learning experiences (i.e. 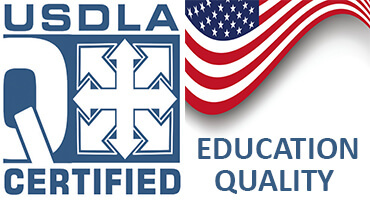 identify, document, assess and/or certify), making them usable for further studies or advancement in work. This is why the Commission has made a proposal for a Council Recommendation inviting EU governments to establish validation systems by 2015, linked to the European Qualifications Framework, including the possibility to obtain a full or partial qualification on the basis of non-formal learning, like the programs offered by Bircham International University. * courses organized by civil society organizations for their members, their target group or the general public. The European Quality Assurance Reference Framework (EQAVET) is a one of the references instruments designed to help EU countries promote and monitor the continuous improvement of their vocational education and training systems on the basis of commonly agreed references. The framework should not only contribute to quality improvement in VET but also, by building mutual trust between the VET systems, make it easier for a country to accept and recognise the skills and competencies acquired by learners in different countries and learning environments. EQAVET as well as any other instruments of validation of non formal learning are a voluntary system to be used by public authorities and other bodies involved in quality assurance. Another instrument is the Electronic Platform for Adult Learning in Europe (EPALE) which is an online space to exchange, showcase, and promote methods of good practice in adult education. Individuals involved in organising and delivering adult education will be able to access an adult learning platform to share the latest developments and learn from each other. The Organization for Economic Co-operation and Development (OECD) also sets international standards on the validation of non formal learning. The OECD activity on the recognition of non-formal and informal learning involves 23 countries on 5 continents because policy makers in OECD countries have become increasingly aware that non formal learning represents a rich source of human capital. * helping citizens move around the EU to live and work. The importance to Europe of a skilled and knowledgeable citizenry extends beyond formal education to learning acquired in non-formal or informal ways. Citizens must be able to demonstrate what they have learned in order to use this learning in their career and for further education and training. To do so, they must have access to a system which identifies, documents, assesses and certifies (=validates) all forms of learning. This is what the EU has called upon Member States to put in place by 2018. The European Qualifications Framework (EQF) is a common European reference framework. It acts as a translation grid which links countries' qualifications systems/framework. It covers qualifications at all levels and in all sub-systems of education and training (general and adult education, vocational education and training as well as higher education). Its main role is to make qualifications more readable and understandable across different countries and systems. In close cooperation with the European Commission, Cedefop provides analytical and coordination support for the implementation of the EQF and carries out a number of comparative studies and analysis on issues related to the implementation of the framework at EU, national and sectoral level. Cedefop actively supports the development of lifelong learning strategies in Europe and the Member States. The Centre monitors and reviews trends and policy developments that are related to lifelong learning. It provides policy-makers with data and analysis and offers opportunities for knowledge-sharing and best practice exchange in education and training. Currently Cedefop focuses on lifelong guidance, validation of non-formal and informal learning, teachers and trainers in vocational pathways, apprenticeships, early leaving from education, and adult/work-based learning. In the recent past it has also studied aging workers. 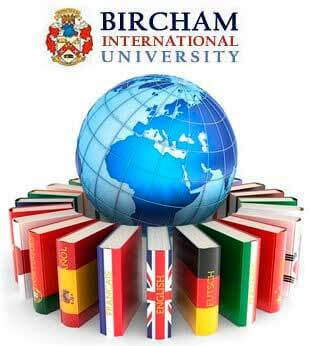 Bircham International University is a provider of non formal higher education recognized and regulated by the laws of Spain. BIU transcript follows the directives of the ECTS credits since 2006 and is member of several institutions that play some advisory role at the European Qualifications Framework (EQF) and the validation of non-formal learning. * OAPEE - Organismo Autónomo Programas Educativos Europeos. Recognizing all forms of learning is therefore a priority of EU action in education and training.